Looking back on 2018, we’re proud to have greatly expanded the extent and breadth of our online — and live — efforts to help inform and inspire rural British Columbians and First Nations. We look forward to building on this solid base as we move into 2019 and beyond. From all of us here at the BC Rural Centre, please accept our best wishes as we enter the upcoming holiday season, and our hope the coming year will provide plenty of health and happiness for you and yours! 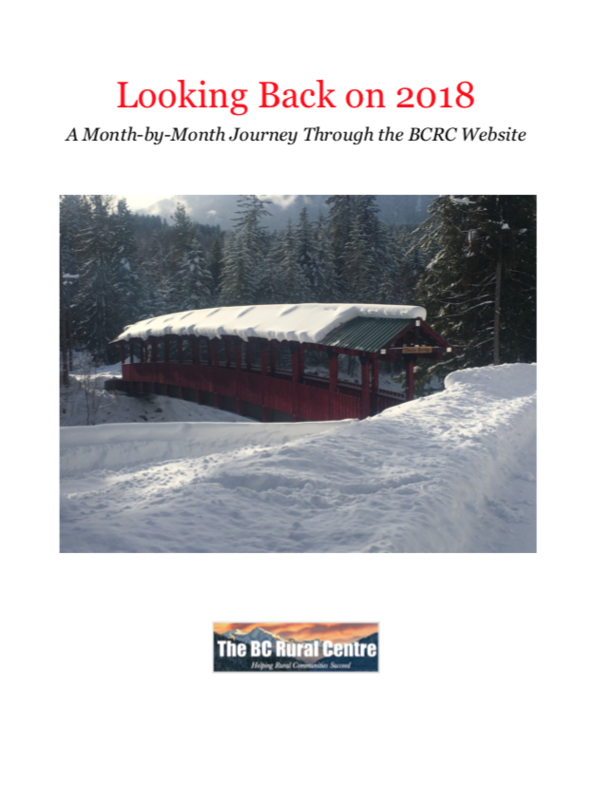 BC Rural Centre, Featured Report 2018, looking back, review. permalink. Agri-Tourism Succeeds in the Central Okanagan!